Seeking out information on your next vehicle purchase is important. That's why we take the time to create reviews on the Nissan Nissan Xterra. It's our obligation to serve Nissan reviews authored by the finest automotive writers in the business - it's just one of the things that makes us a stellar Nissan retailer in Albuquerque. This article will tell you exactly what you're looking for. 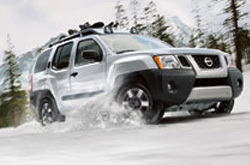 As your Albuquerque Nissan retailer, you can depend on us for accurate information on the 2013 Nissan Xterra. Get started by watching the video below or move on to the full review. By examining the 2013 Nissan Xterra to the 2013 Jeep Wrangler, Subaru Forester, Toyota FJ Cruiser, Dodge Durango and the Chevrolet Tahoe, and you can spot that the Xterra beats out those autos in gobs zones. Pay attention to the hightlights below. 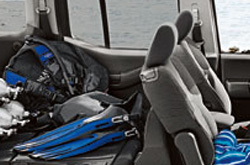 Your Nissan should be treated with the utmost respect - that means Nissan factory- trained Xterra technicians, authentic Nissan parts, and the bliss that comes from a 12-month service dealer warranty. Reliable Nissan service and auto repair in Albuquerque is a click away! The old pros at our NM Nissan service center can be trusted to keep your Xterra in tiptop working order for years to come. For quick oil changes and other Nissan services like tire alignment and checkups and fuel filter replacement, come to us. We even handle tough assignments with finesse, including jobs like transmission repair. Reliable Nissan is your safe bet in Albuquerque for quick, professional Nissan service and regularly scheduled maintenance. Check out our service specials by clicking on the link below.